President Bush today signed legislation designed to ease the housing crisis and prevent similar collapses in the future. Read the $300 billion "Housing and Economic Recovery Act of 2008" and the new National Association of Home Builders' tax credit-related Web site to learn how the credit works. Deadline Newsroom - President Bush today signed legislation designed to ease the housing crisis and to prevent similar collapses in the future. In the final back-and-forth between the U.S. House of Representatives and the U.S. Senate on the legislation, the House last week voted 272 to 152 to approve the "Housing and Economic Recovery Act of 2008". In a rare weekend session, the Senate followed with a 72 to 13 vote of approval. President Bush agreed to sign the housing rescue package after initially voicing reservations about money for local communities to buy up distressed properties. Unfortunately, the impact of the new legislation won't be felt until administrative issues are hammered out, likely by this fall or later. In addition to helping communities with vacant properties, the package comes with stronger regulations for Fannie Mae and Freddie Mac, tax credits for first-time home buyers and higher limits (up to $625,500) on Federal Housing Administration (FHA) loans. Not only is the government effort expected to save an estimated 400,000 homes from foreclosure, the legislation could raise the profile of an unconventional creative financing tool and push it into the mainstream of housing finance. The give and take in the legislative fight has always included the creation of an FHA-sponsored equity sharing program (Hope For Homeowners) to refinance loans at a discount for home owners facing foreclosure. In return, home owners would share future equity gains with the FHA. "The feds are about to take equity sharing to the next level," says Jeff Langholz, founder and CEO of HomeEquityShare.com, an online network that matches equity sharing partners. Among other provisions is a maximum $7,500 tax credit for first-time home buyers or buying couples who have never owned a home or who haven't owned a home in the past three years. In the case of a couple, both cannot have owned a home ever or during the prior three years. Eligible home owners are also those with homes that closed from April 9, 2008 to July 1, 2009. Only single taxpayers with adjusted gross incomes up to $75,000 and married couples filing a joint return with incomes up to $150,000 qualify for the full tax credit. In a "married filing separately" household a maximum credit of $3,750 can be claimed on each return. Partial credits of less than $7,500 are available for some taxpayers whose adjusted incomes exceeds the limits. The credit is not available for individual taxpayers with adjusted incomes of $95,000 or more and for married taxpayers filing joint returns with incomes of more than $170,000. The credit, designed to provide a financial incentive for home buyers, is actually a no-interest loan that must be repaid over 15 years, beginning two years after taking the credit. If the home is sold within 15 years, the balance of the tax credit payback is due, provided there is ample capital gains. The credit payback is forgiven if there's no capital gain at the time of the sale. Details were still being ironed out, but taxpayers will likely be able to claim the credit on IRS Form 1040 and more information should be available in the next version of IRS Publication 530 "Tax Information For First-Time Homeowners." Unfortunately, the same law that gives home buyers some tax relief, takes away a tax-break windfall previously enjoyed by second home owners. To help foot the bill for the relief act Congress closed a loophole second home owners used to avoid capital gains taxes. That ends January 1, 2009 when the housing relief act eliminates the capital gains exclusion for the portion of gain that came while the home served as a vacation or rental property. The act retains the tax benefit for any gain achieved during the period when the property served as a principal residence. Because the law doesn't take effect until 2009, home owners who move into the vacation home before the end of 2008 will still be eligible for the benefits of the old law. For more information, see Publication 523, "Selling Your Home."  GSE (government-sponsored enterprise) reform. The law reforms the regulation of Fannie Mae and Freddie Mac and permanently increases the conforming loan limit to help buyers in high-cost markets (to what) as the government temporarily expands its line of credit to Fannie and Freddie. It also permit the U.S. Treasury to purchase an equity stake in the companies through the end of 2009.  Mortgage revenue bond program gives states the ability to issue an additional $11 billion in mortgage revenue bonds to help strapped borrowers seeking to refinance their home loans.  An enhancement of the low-income housing tax credit to expand the supply of affordable rental housing. The legislation is also based on five principles. 1. Long-term affordability. 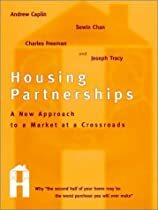 The program is built on the idea that creating new equity for troubled homeowners is likely to be a more effective way to avoid foreclosures. New loans will be based on a family’s ability to repay the loan, ensuring affordability and sustainable home ownership. 2. No investor or lender bailout. Investors and/or lenders will have to take significant losses in order to benefit from the proceeds of the loans refinanced with government insurance. However, these losses would be less than the losses associated with foreclosure. 3. No windfall for borrowers. Borrowers will share their new equity and future appreciation equally with FHA. Borrowers will pay for the FHA insurance. 4. Voluntary participation. This will be a voluntary program. No lenders, servicers, or investors will be compelled to participate. 5. Restore confidence, liquidity, and transparency. Credit markets frozen with risk aversion, in part, because banks and other financial institutions do not know what their subprime mortgages and related securities are worth. The uncertainty is forcing lenders to hoard capital and stop the lending necessary for economic growth. This program is designed to help restore confidence and get markets flowing again. Learn more about equity sharing here. Click here for a copy of the "Housing and Economic Recovery Act of 2008". Click here for the new National Association of Home Builders' tax credit-related Web site which explains how the buyers' tax credit works. Also see: "$700 Billion Bailout Overshadows $300 Billion 'Hope' "
Read still more bailout news that really hits home. Broderick Perkins, an award-winning consumer journalist of 30 years, is publisher and executive editor of San Jose, CA-based DeadlineNews Group -- DeadlineNews.Com, a real estate news and consulting service and Web site and the new Deadline Newsroom, DeadlineNews.Com's news back shop. In both cases, it's where all the news really hits home.